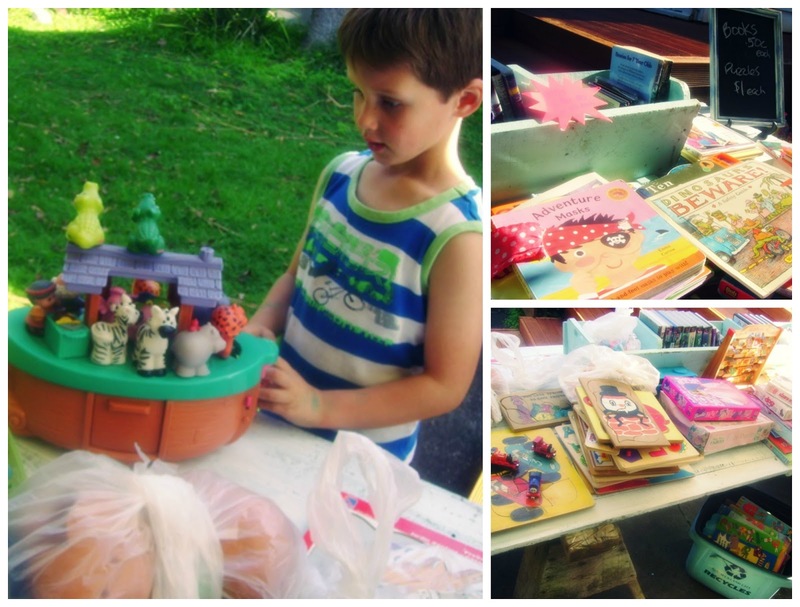 We've never had a Garage Sale before. Our first one (and possibly our last) was held on Saturday-gone. Our aim was to help raise funds for our dear nephew/cousin Joel Walsham (as seen on TV this week). 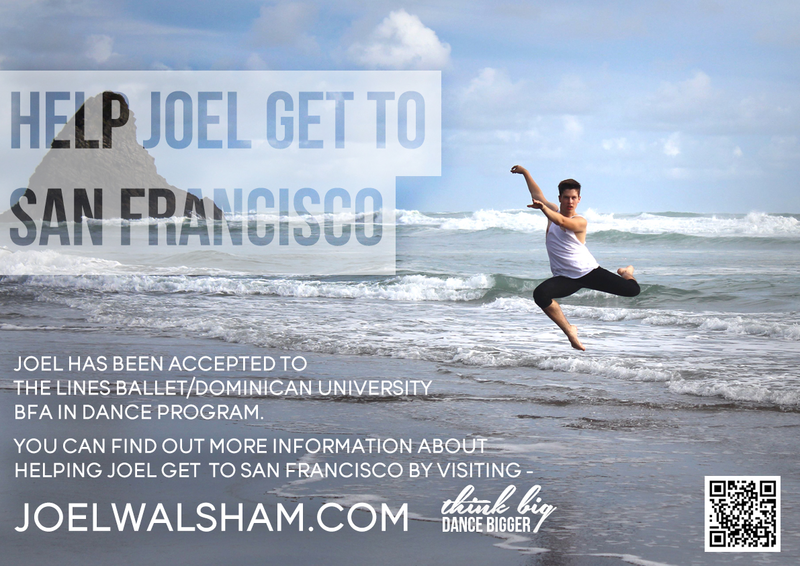 Joel is trying to raise the rest of the money needed for his tuition at Lines Ballet School in San Francisco, and it has been slow going. 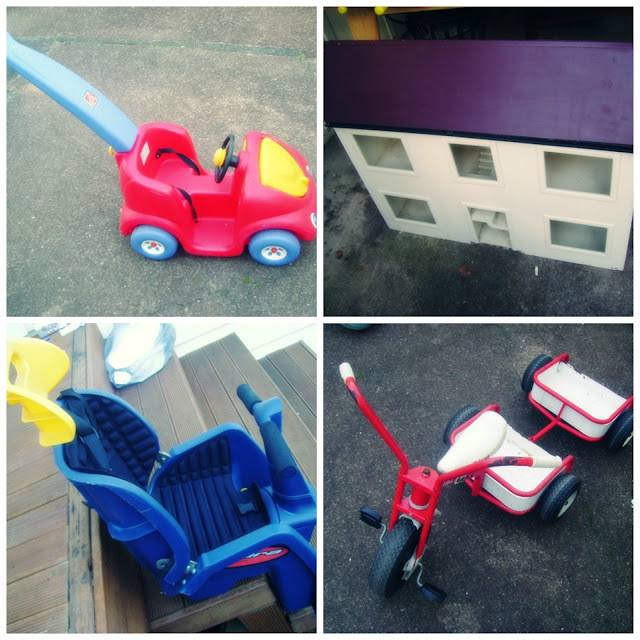 Meanwhile, we were feeling the need to declutter the garage and finally get rid of all the "little kid toys" we no longer need or use. All along we had decided to give the money raised to a good cause. What better cause than helping our lovely Joel fulfill his dream? We had the best of intentions but not the best preparation. 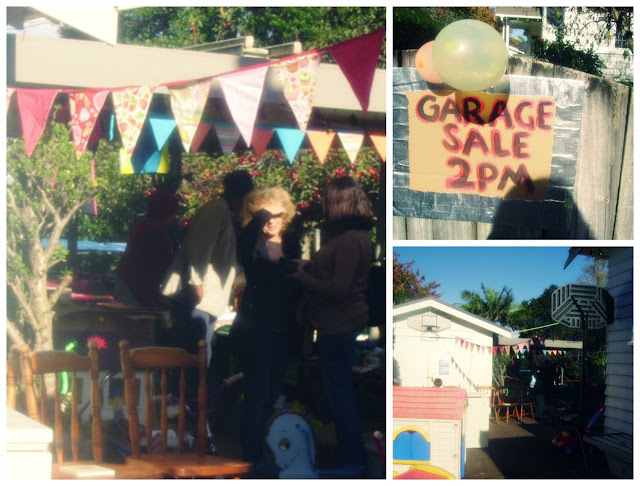 Garage sale hours are traditionally first-thing on a Saturday morning. Ours had to be held at 2pm, after Saturday sport. Garage sales traditionally feature painted signs going up around the neighbourhood days - even weeks - ahead. Our still-wet signs went up at the end of the street an hour before. For the first hour of our garage sale we had plenty of visitors; mainly neighbours who were walking or driving past. We made a grand total of $247 in the first hour (yippee, we thought) and then for the next two hours... nada. Really we were lucky to sell anything. Make sure to have change on hand! Accepted donated goods for sale that never sold. Now we are stuck with a giant ugly chest freezer and a pile of stuff to get rid of larger than what we had before! Oh well. We really did try. Our intentions were good. But meanwhile we have a huge pile of unsold, unwanted stuff that we really need to clear out. We still have LOADS and LOADS of kids toys and books, puzzles, DVDs and games, you name it, as well as some random household bits and bobs and books. If you are in Auckland and want to come by and grab some stuff to take it off my hands, please let me know. You could come by on the weekend; a little un-garage un-sale. I could make you a cup of tea. Your kids could pick out some new toys. And you could perhaps make a donation to Joel's fundraising campaign by way of ThankYou?? Or if you aren't in Auckland and feel some sympathy for our aborted fundraising efforts and Joel's nervous waiting as he ticks off the hours left of his campaign (only 58 hours as I write this, and he is $15,000 short of his target)... please click through to his page and donate $10. That's two coffees. Think of it as if you've taken me out for coffee, your shout. Every little bit helps.